Kneeboarding is a sport much alike wakeboarding but as the name presents you ride on your knees rather than your feet. This sport is great for doing tricks and flips as you rip through the water at top speeds. A favorite summer activity, kneeboarding is quite a thrilling sport with a diverse range of riders. No matter your age or skill level it is important that you get the best kneeboard to ensure that you get the most out of the sport. To help you find the best for you, we have compiled a list of the top ten kneeboards on today’s market. Ranging from beginner to advanced boards, all of the ones on our list are made using only the top materials and have excellent kneeboard reviews. Companies are constantly developing features and technology that will help you have an amazing day on the water. 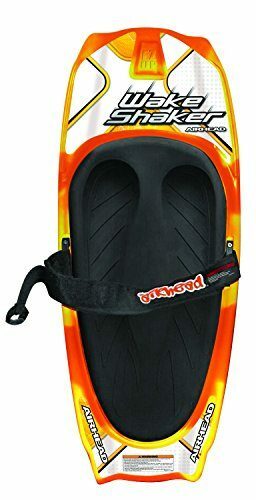 What are the best kneeboards? Take a look at our top 10 kneeboards in 2018. Not only is this a top notch kneeboard bit it is a very versatile piece of watersport gear, that can be used at a wakeboard and wakesurf board. 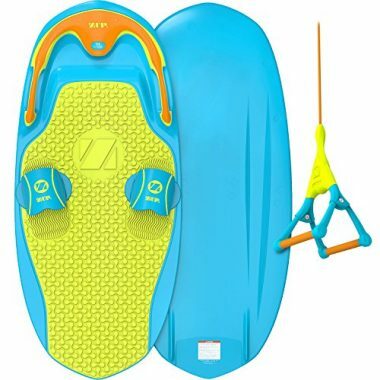 The ZUP You Got This 2.0 kneeboard comes loaded with features and a color scheme that will put a smile on your face. It has been designed based on high tech competition boards, but comes in an affordable, feature loaded package. The adjustable strap is padded so it won’t chafe or hurt your legs no matter how long your day lasts. Couple this with a ¾ inch EVA knee pad and you will feel like you’re floating on a cloud. O’Brien has used their knowledge of water skis and applied it to their line of kneeboards. Their edge has been tweaked so that you ride lower in the water giving you more stability and control. A high quality integrated hook sits in the perfect spot making getting up in the water that much easier. 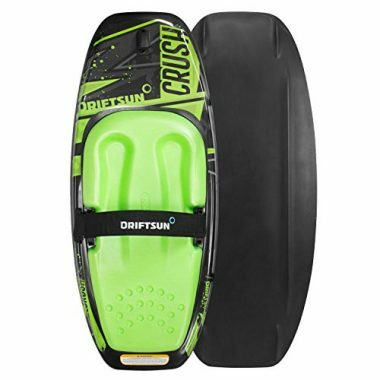 This is one of the best kneeboards available for beginners and intermediate riders. Driftsun has a reputation for excellence. They use high quality materials to create high-performance and durable boards. This is the best kneeboard which has a low profile design that makes it lightweight. This kneeboard will exceed your expectations from the start. The second you hook onto the boat you will see the great build quality. A three inch padded strap blows away the competition in comfort. The EVA pad for your knees forms to your body and adds support for rough landings. You have nothing to worry about except getting to the lake and strapping in. No matter how high you fly or how much you push the limits this board will stick with you. Everything from the base to the strap has been designed for big tricks, so this board is recommended for intermediate to advanced riders. Coming in at only eleven pounds you won’t even feel it under you. All of this is backed by Driftsun’s manufacturer’s warranty. 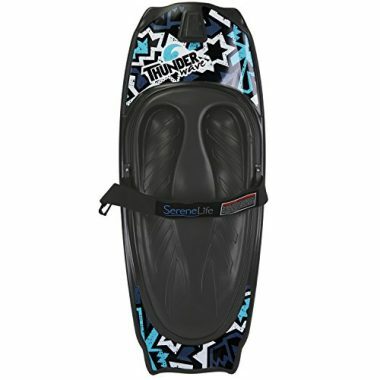 This is the best kneeboard for everyone from kids to adults, advanced to beginner kneeboarders. From just learning how to get up to trying the latest stunt in the water, this board is great for everything. If this board does one thing it is sure to give you a comfortable ride. The ¾” EVA foam pad combines with the 3” padded strap to ensure you are in uncompromised comfort even on long rides. The foam pad is incredibly durable allowing your board to last for years to come. For beginners, this kneeboard offers an integrated hook that sits at the front of the board. This will help you get up on your board easier without wasting a ton of energy. Newbie riders will love how easy to ride this board is. More experienced riders will enjoy the boards beveled edge design that keeps your board riding low in the water. This gives you added balance and is great for making fast cuts and allows you full control to maneuver the board with ease. 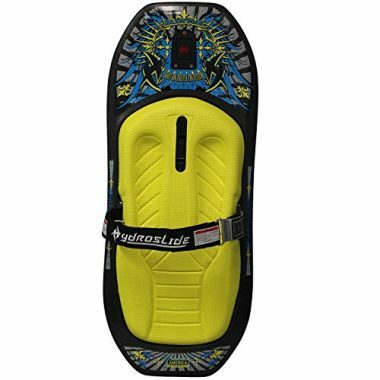 This is the best kneeboard for tricks, jumps and spins. 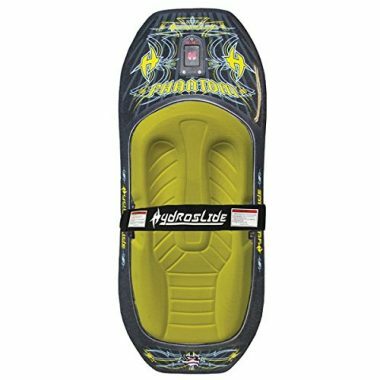 If you are looking for best kneeboard that is budget friendly, comfortable and durable while still being made of high quality materials, the SereneLife Water Sport Kneeboard is the one for you. One of the top fiberglass kneeboards on the market this board will take your skills from good to excellent in no time. The twin tip design ensures that you have a smooth ride every time. The 3” padded strap and the comfort molded flex pad ensures that you stay comfortable providing soft landings and a secure fit. An integrated hook allows for easy starts helping beginner riders to get up with ease. The sleek edged design of this board has a sharp look that will ensure envy from friends. The V-hull shape of this board makes maneuvering it through the water easier than ever. This the best kneeboard that is high quality and comes with a budget friendly price tag. The Ricochet makes it easier than ever to fall in love with this sport. This high performance board is designed for every adult rider in mind. The thin design of this board makes it incredibly easy to maneuver in the water. 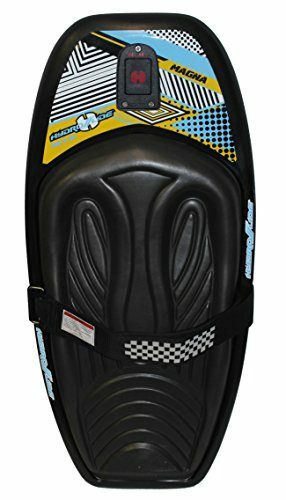 Comfort is Hydroslides first priority with this kneeboard and it is easily seen with their quality EVA padding and deeply constructed knee wells. The fins in this board are fully adjustable giving you full control on whether to retract the fins or not. A Hydro hook tow system is featured in this board offering a pleasurable ride for beginners and advanced riders alike. The 3” padded shock strap gives you supreme comfort while keeping you safe in the water. This high performance kneeboard has an impressive 250 lbs weight restriction making them usable for even more riders. The Hydroslide Magna is an impressively thin board and comes in at an ultralight weight of only 11.5 lbs. This thin shape doesn’t compromise comfort as this board features a full size EVA foam pad and deep knee wells that give you a comfortable ride. With a maximum weight capacity of only 120 lbs, this board is more geared towards younger riders who are new to the sport. With the hydro hook towing system it makes it easier than ever for new riders to get up the first time giving them more time and energy to focus on the drive. A 3” padded strap keeps young riders firmly and safely strapped in while keeping them comfortable during their ride. The curvy design couples with how easy this board is to make it an excellent way to practice jumps and tricks building the rider’s confidence. This board is locally made making it a good bye even sweeter. This board was designed for an adult rider which accounts for its heavier weight. With the Hydro hook towing system is preferred by expert riders. The fully adjustable and easy to use 3” padded strap provides comfort while ensuring you are securely tied in. An incredibly responsive unit experts are raving about how responsive this kneeboard is in the water. This high performance kneeboard has a thin profile while boasting an EVA padded surface designed with cushioned deep knee wells giving you comfort and control. With a fin system that is manually retractable riders get full control of this best kneeboard. This is a great board for those who enjoy showing off and pushing the limits with the latest stunts. While this board is great for all riders, it stands out as a top quality board for expert riders. This board is a great option for larger riders as the increased surface area and stiffness of the board provides extra buoyancy. The comfortable dual density EVA surface offers supreme support and deep knee wells giving you control. The knee wells effortlessly absorb the shock of your landing allowing you to do even more stunts in the water. Turns and spins become a breeze with this boards shape and rail system. Advanced riders will enjoy the versatility of riding this board either forwards or backwards.O'Brien Black Magic Kneeboard, has been designed by kneeboarding legends for any skill group and body size. This means the board is forgiving enough for beginners while having technology and features that professionals can appreciate. It does this by sitting you higher in the water giving you more control. The base has been shaped so that the rider is able to ride forwards or backwards with the same amount of ease and comfort.If you have sensitive knees yet still love the sport, this is the board for you. The large knee area, and strap, has extra padding that will allow you to board for hours. This board is not for young kids but rather built for adult expert riders. Built for speed and tricks this board is able to hold a forgiving maximum 250 lbs weight capacity. A Hydrohook towing system combines with the thin design of this board to give you a seamless ride. 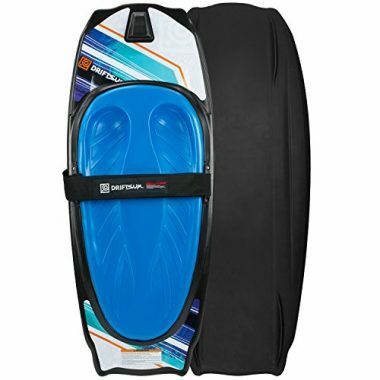 The 3” padded strap comfortably secures you to the board allowing you the freedom to practice all your stunts and turns. With a perforated padded EVA foam surface with deep shock absorbing knee wells, this board has thought of it all. This easy to maneuver board slides expertly over the water giving you a supreme ride. Kwik Tek has designed the best kneeboard that will not only help you learn, but improve your skills. The base has been specially designed with channels that funnel water. This makes the board more stable and ride in a straighter line. One of the hardest skills to master in kneeboarding is carving, and this board makes it easy. No more shaky lines with this Kwik Tek. You will be riding like a pro in no time. It is hard to get comfortable on the board, especially for long periods of time. This company has created a solution. Extra deep, and padded, knee spots ensure a comfortable ride. A large rocker lets you practice your spin moves all day long. When coupled with a secure, extra comfortable strap your legs will stay happy for hours. Normally boards have a suggests age range, but this kneeboard has been designed for everyone. Features like the integrated EZ UP hook makes the hardest part of this sport easy, and the rope is always within arms reach. The edges have been shaped so that carving and moving around in the water is also less strenuous on the rider’s body. Kwik Tek is quickly making a name for themselves in the water-sport industry. Take advantage of this great deal. This ultimate summer sport, unlike others such as water skiing and wakeboarding, is far less physically demanding. This makes it an appealing summer option for kids and less athletic adults. The low center of gravity allows you a wider range of stunts to perform making it also a great thrill seeking sport for fit adults. 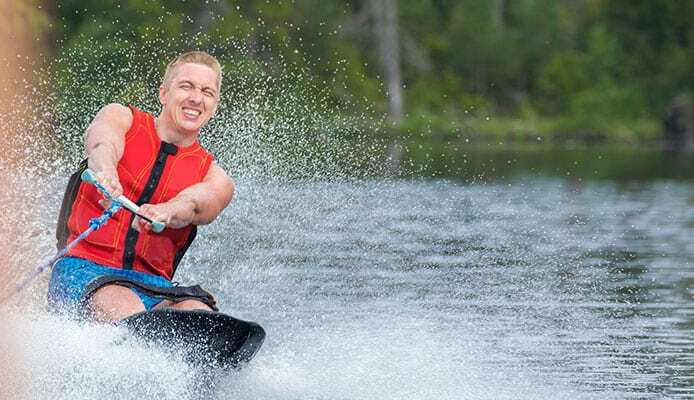 Kneeboarding is a great summer activity that helps beginners get used to the motion of behind boat water sports. Often used as a beginner’s tool to get used to and confident enough to build to sports such as water skiing and wakeboarding. There are many features that make getting, and staying, up easy and fun. Kneeboards structure and features are similar to that of wakeboards. Riding on your knees gives you a lower center of gravity and can easily stretch the limits of the stunts that can be performed. From beginners to advanced riders it is important to know a few key characteristics prior to buying your kneeboard. When deciding on the best kneeboard to suite your needs, it is important to be aware of the two different types of kneeboards on the market. These kneeboards are made with entirely different designs so before buying make sure you know whether you would prefer a recreational or competition kneeboard. These kneeboards are designed with simplicity in mind. Built for beginners of all aged groups, these boards carry a lightweight design that is easy to carry into and out of the water. The soft and smooth kneeboard makes it incredibly comfortable to kneel on. Recreational boards run at a much more affordable price point making them a great option for first-time buyers. The sleek edges not only make this board fun to ride but also make it a great option for those looking to improve on their skills and start practice tricks. A great option for children and those who are not strong swimmers, these boards are roto-molded and therefore double as flotation devices. As the name mentions, these boards are made with a lot more quality and typically come with a higher price tag. Most often competition kneeboards are made using fiberglass as to make them lighter in weight and more responsive in the water. These boards are thin and curvy giving them tons of power to perform sharp turns. Built with the athlete in mind these boards leave you feeling limitless with the amount of tricks you can perform. Kneeboards for amateurs will be made of different material that those for professionals. Since beginners will be harder on their boards materials like hard plastic are used. This increases durability while maintaining a lightweight board. Professionals know how to steer and control their boards and are generally better at taking care of them. Fiberglass is routinely found on high end boards as it is much more lightweight and easier to maneuver through the water. These have the same characteristics as other watersport boards. Fins help keep boards in straight lines and give more control. They are found on higher end boards that are used for competition. Fins will allow these athletes freedom to steer into the wake for their flips and tricks. Higher end boards are often seen with retractable fins allowing the rider ultimate control. This is the part of the kneeboard that keeps you attached. The strap should be comfortable while being strong enough to ensure it doesn’t break when you need it most. All good boards will have a padded strap. This can be anywhere from a thin piece of plastic to three inches of EVA padding. 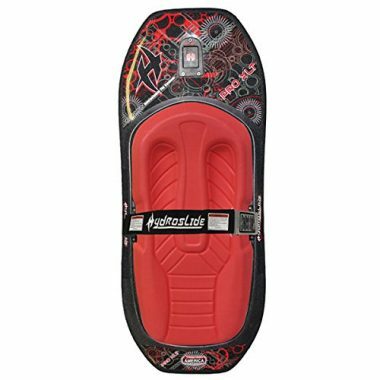 It is strongly advised that you purchase a kneeboard that has specifically stated that their strap is high quality and includes some sort of padding. After all, this is going to be what is going to be one of the most important aspects of the kneeboard. Q: Are Children’s Kneeboards Different? A: Children can use most one size fits all kneeboards. There are not child’s boards readily accessible, but regular small-sized boards should fit most children for recreational kneeboarding. They may be a little big for a child, but you should be able to adjust the straps so that a child can fit on the board. If your child is competing, then you may have to have a custom board made to fit your child properly. Q: Are Non-padded Straps Worth The Purchase? A: You do not need to have padded straps, but ultimately it a choice which is down to the individual. The padding is there to ensure that the straps do not dig into your skin. The straps need to help hold you, but if you are comfortable using straps which do not have padding, then there is no harm in doing that. A: This another personal choice. There is no correct length for the straps to be as long as you are finding comfort on your board. The only thing we suggest you look for is straps which are long enough to be tightened to your requirements. It is always better to go too big rather than too small, You should also look for straps which are adjustable over straps which are not. One reason to look for a longer strap is when you are sharing the board with someone else. The strap should be long enough to accommodate the largest person. A: There are some boards which are better suited to beginners, and if you choose a board suited for a novice, then you have a better chance of learning the sport easier and falling in love with it. Beginner boards are wide to give extra stability. They also have softer edges which give a more stable and comfortable ride. A wide board with soft edges also gives you more control over the board. A better board for a beginner will also be thicker, letting you sit higher in the water and offering you more buoyancy. They will also be hollow which will also help you to float in the water better. These thicker boards are easier to maneuver through the water and can be turned more swiftly. Look for fins on the board as these will also make it easier to turn. Q: How Can I Increase The Durability Of My Kneeboard? A: If you take care of your board, then it will last a lot longer. The first thing to do is to follow the instructions so that you are using the kneeboard as it is intended to be used. This will stop anything avoidable happening to the board. When you are storing your board, it should be stored in a cool, dry place, and stored out of direct sunlight. The UV rays can break down the material in the board. If you have a protective case, then that will ensure that the board is not damaged when it is in storage. Take the time to rinse any salt and sand off of your board after each use. They can also break down the materials in your board. While there are many different types of kneeboards on today’s market, it is important to buy the best kneeboard based on your skill level. This summer sport can easily become addictive. Buying a kneeboard that allows you to grow as a rider and expand on your skills will save you the hassle of buying a secondary kneeboard. While there are a lot of kneeboards on the market, after much review the ones that made our list are the top of their kind and stand as the best kneeboards on the market. Take advantage of these companies hard work and a competitive market. Have you ever tried using one of the best kneeboards that made it onto our top 10 list? If so, let us know what you thought of it in the comment section below.